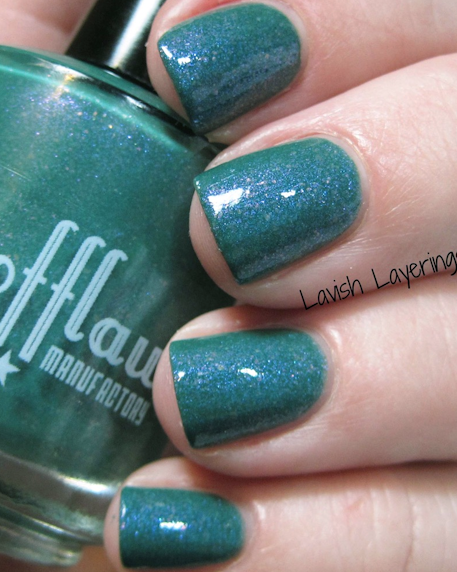 A creamy crelly base with glitters in brown, copper, and green, with a warm brown and green shifting sparkle shimmer. This is a preorder item, available between March 1st 9am AEST – March 7th 9pm AEST with an approx ship date to you by April 4th (if not before). Cancellations of preorder items are not available. 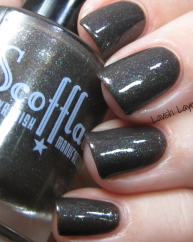 Other: Like all the best and most dignified indie polishes, Scofflaw Nail Varnish is 3-Free (containing no dibutyl phthalate, toluene, or formaldehyde) because we’re in the business of awesome nail polish, not carcinogens. Only high-quality, cosmetic-grade pigments and glitter are used. Still, don’t eat the nail polish. 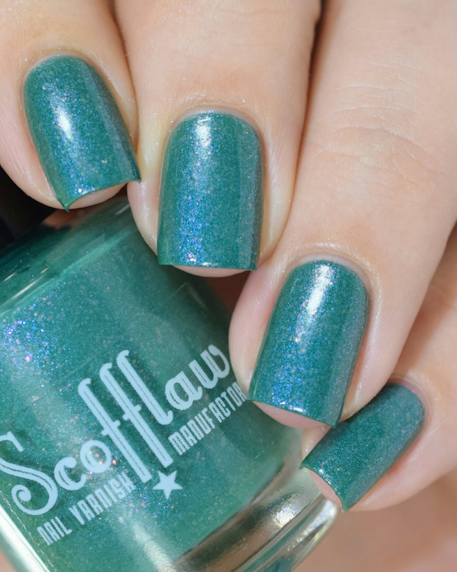 While all Scofflaw Nail Varnish has been tested before being available to the public, some settling and separation of glitter/pigments over time is normal in all nail polish. So give your bottle a good shake (or use it as a prop in your next jazz-hands routine) before each use. Each bottle contains stainless steel mixing balls to aid you; jazz-hand routine ideas are all on you, sorry. 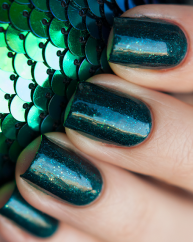 For best results, apply thin coats of nail polish and wait until each layer is dry before applying the next. The first coat should be streaky and sheer, the second will start to provide full coverage, and the third (which is not always needed) will leave you with full coverage. Sometimes if it’s extra-glittery it helps to ‘dab’ the polish on. Always use a quality base coat and a top coat such as Seche Vite or Gelous (or both) with your Scofflaw nail polish to guarantee a shiny, smooth, chip-free manicure when you’re out saving the world or changing the cat’s litter box. Unfortunately, clear nail polish doesn’t smooth out glitters and may leave the surface rough. Artisanal nail polish hand-made in small batches.